Fast food restaurants today’s is making the most money around the world. Because admit it, who does not like to fast foods? Very few people around the world are not a fan of fast foods. Fast foods like French Fries, Burgers, Sandwich, are the most eaten fast. Very few people in this sector suffer from losses. In order to start up your own fast food restaurant, you need a lot of dedication and determination. * Chairs, tables, tablecloths etc. Choose your location wisely. You can choose your location near a college or university, this way your restaurants will get more hype. After classes, students can come to your restaurant to have lunch, dinner or may visit your restaurant during a class break. Or you can also open up your restaurants in rural areas and small towns. These places’ price is typically much lower than the prices found in larger, more developed cities. To lower your cost a little, you may open your business in a cart, which you can move from place to place. But if you wish to open a restaurant with huge space and attractive decorations you might have to have a good amount of capital. A mean investment of opening up a restaurant with moderate space and nice ambiance might be around $30,000-$50,000. Create an executive directorial for your restaurant’s business plan. Place the summary at the start of the business plan. Summarize the plan the whole plan in no more than three pages. Shortly introduce the restaurant, its target customers, and its competition, and introduce a brief explanation as to how your restaurant will attract its customers and counteract its competition. Your target market is your customers. Hold on to your customers, feed them good quality and yummy foods. Keep an eye on the quality of the food you are providing your customers. Behave well with them and provide them with offers every now and then. If you have bachelor’s degree in hotel management, things will get a little easier for you. But it is definitely not necessary to have one. Yes, you heard me right. A bachelor’s, masters or Ph.D. degree is not required for you start up your business. You can educate yourself by reading blogs and books. Talk with potential owners of restaurants, how they started and where they are now. This is going to make things a lot easier or you. This business comes with advantages only and zero disadvantages. You will definitely grow sooner or later, you might as well be in newspapers if you provide your customers with good food. 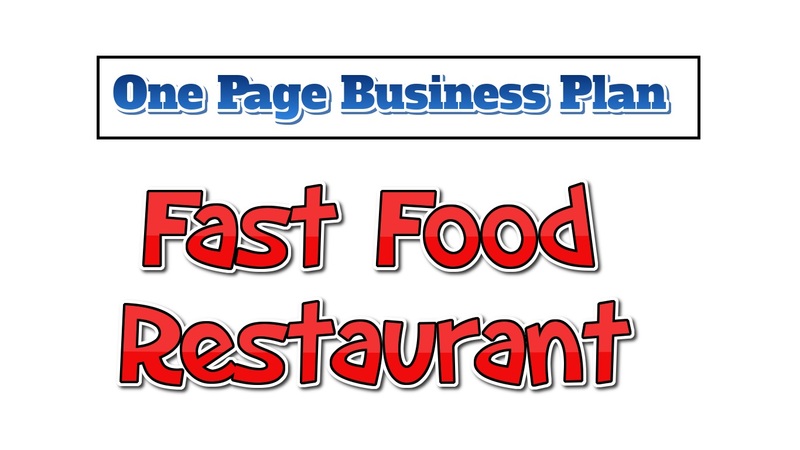 The money made in business is huge because fast food is something which people can’t resist. Fast food tends to be cheaper than the alternatives. Your key to success is marketing. Market your restaurant as much as you can. Put up billboards in your area, advertisements, commercials and radio ads, arrange a grand opening you can also invite a celebrity in your opening so that people get excited. Give away free foods to the first 10 or 15 customers. Keep up with the quality of the food. Also, do not forget about hygiene. People do not like dirty plates or cups. Train your employees to behave well with your customers. $50,000-$140,00- per year. This is definitely an assumption, your income will vary. Different restaurants have different incomes per year.